Yesterday, for the first time in six months, I was able to drive myself to the bus stop to go to work (I work one hour to the north) and to drive myself home when I got back. All because of a very kind friend. A few weeks ago, I got a message on our home phone from this friend asking me to call him back. 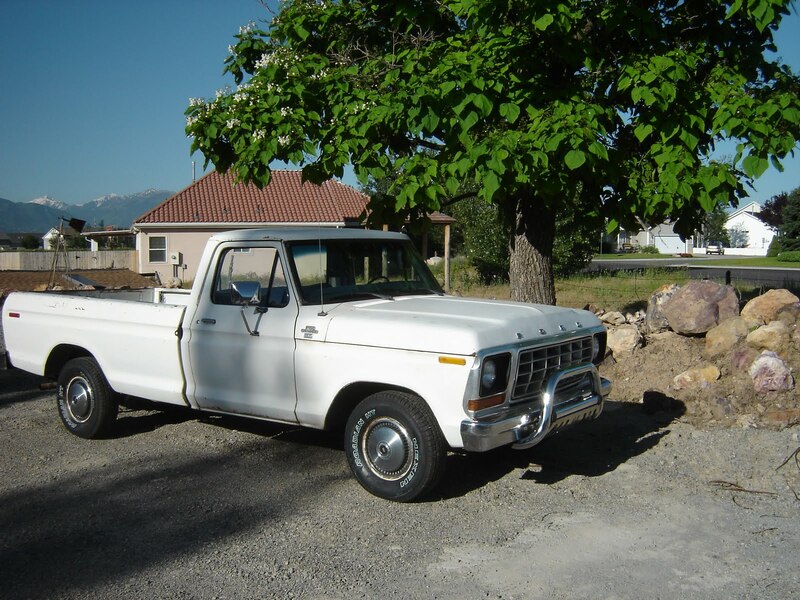 When I returned his call, he asked if I would like an old pickup he had, for free. He had bought it for parts for a few hundred dollars, but had decided to abandon it. He asked me if I wanted it. Of course I didn’t hesitate to say yes. We have had only one car for almost two years. With three drivers in the house, this has presented a bit of a challenge. Somehow we made it work, but not without occasional glitches. Now we have two vehicles. To have one of those be a pickup is frosting on the cake. What a blessing it is. It took several weeks for my friend to get the truck ready to roll. He had all the wiring redone. He replaced belts and fluids. Installed new carpet and a CD player. He traded a tire dealer for new tires. He got a seat cover for the bench. He put a lot of TLC into his gift for no other reason than he only knows how to do things right and to be kind. Admittedly, it’s not the most attractive truck on the road. But you know, you shouldn’t look a gift truck under the hood. It’s a 1978 Ford F150 Custom. It’s two-wheel drive. How many times has the odometer rolled over, I couldn’t tell you. It’s rusty and there’s a leak in the exhaust manifold. But I love it and I am so grateful for it I could bust. Ours is a true riches-to-rags story. I wish I could explain how it all happened, how our financial independence turned into ashes. But I can tell you the benefits of it. A true, deep, satisfying feeling of gratitude for the little things, for the goodness of God, for people who are inspired to take action. I wish I understood how a person could be so kind, so perceptive of a need as our friend was. He has followed the Golden Rule. He has set an unforgettable example. He has given me hope that the world has not come totally off the rails, not yet.